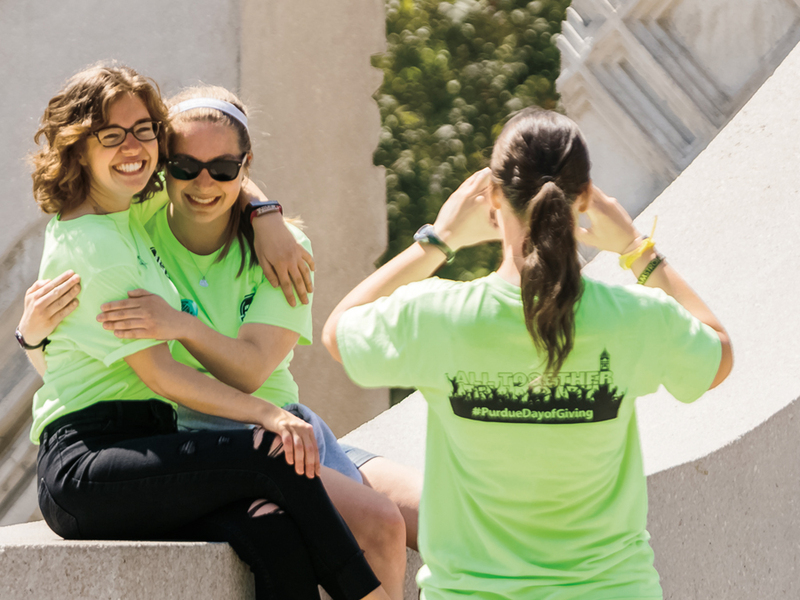 Holding true to this year’s theme, “All Together,” the Purdue community came together to surpass last year’s record. The 24-hour event raised a record $28.2 million for the University — more than 54 percent higher than last year’s total. This year’s total of 15,181 gifts outstripped last year’s total by 2,308 gifts. 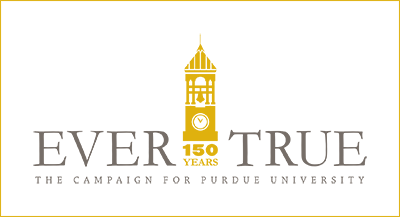 The 2017 Purdue Day of Giving claimed, for the third consecutive year, the most dollars raised for higher education in a single-day campaign: over $28,176,244. 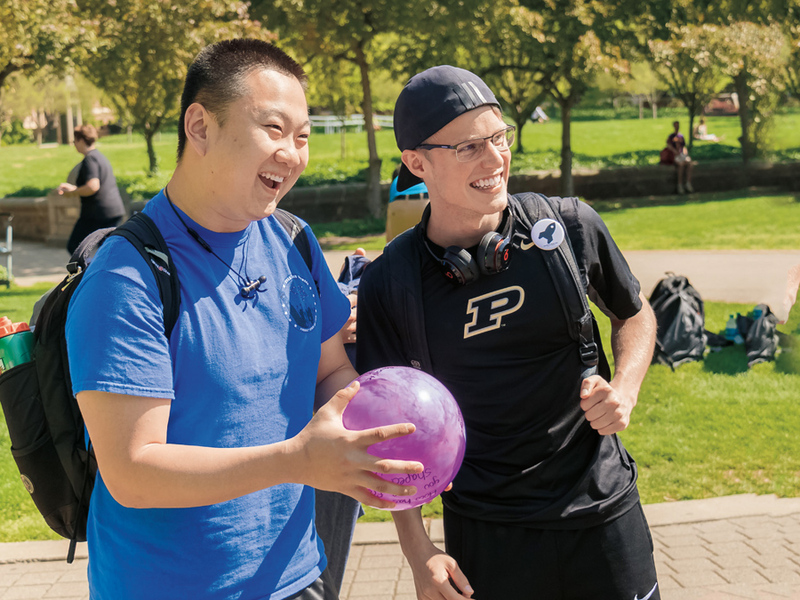 Boilermakers showed their loyalty to the University by making monetary gifts, volunteering to help with the day’s events, and, of course, posting photos and words of inspiration on Twitter, Facebook and Instagram. Four of the top five in the leaderboard for total donations: ME, AAE, CE and IE. Largest single donation between noon and 1 p.m.
During the international challenge, between 7 and 8 p.m., the College received the most gifts from international donors: 108. No. 2 in total donations raised: School of Mechanical Engineering, $3,453,725. No. 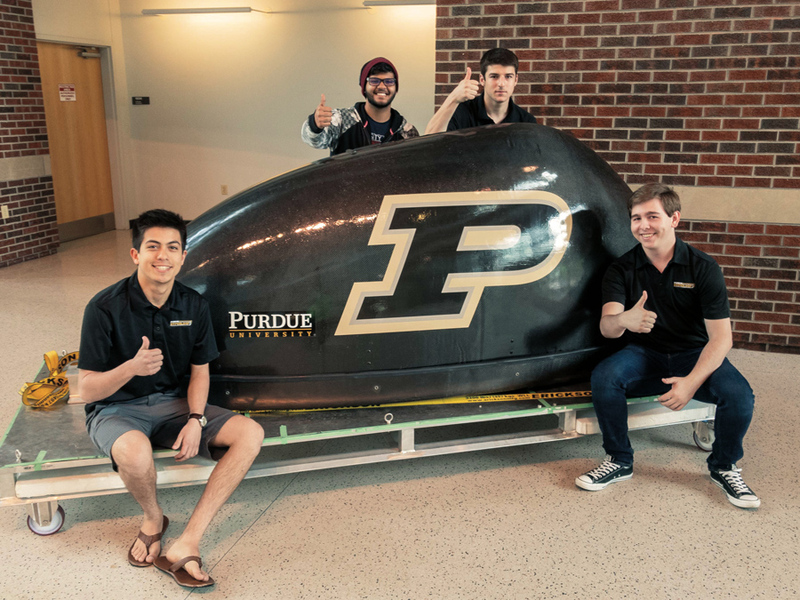 4 in the student organization challenge: Purdue Student Engineering Foundation with 105 total gifts. 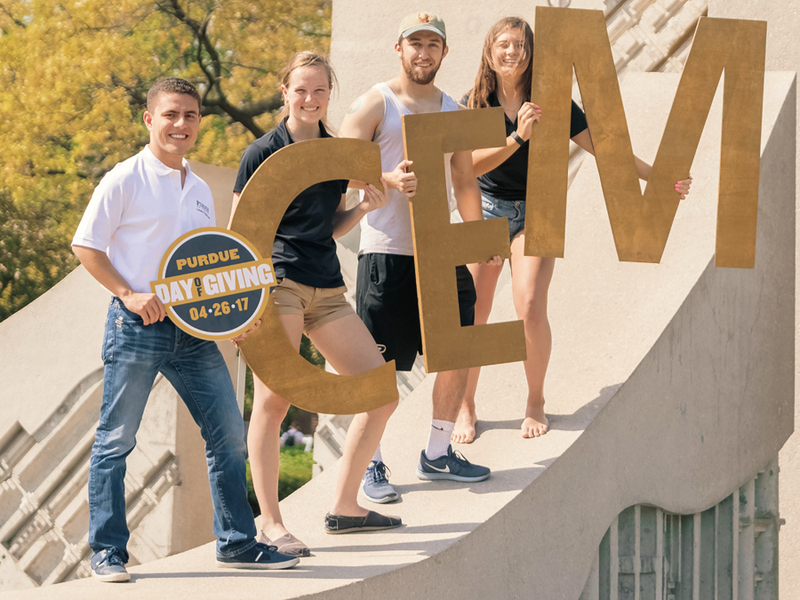 Join us again on April 25, 2018 for the fifth annual Purdue Day of Giving. 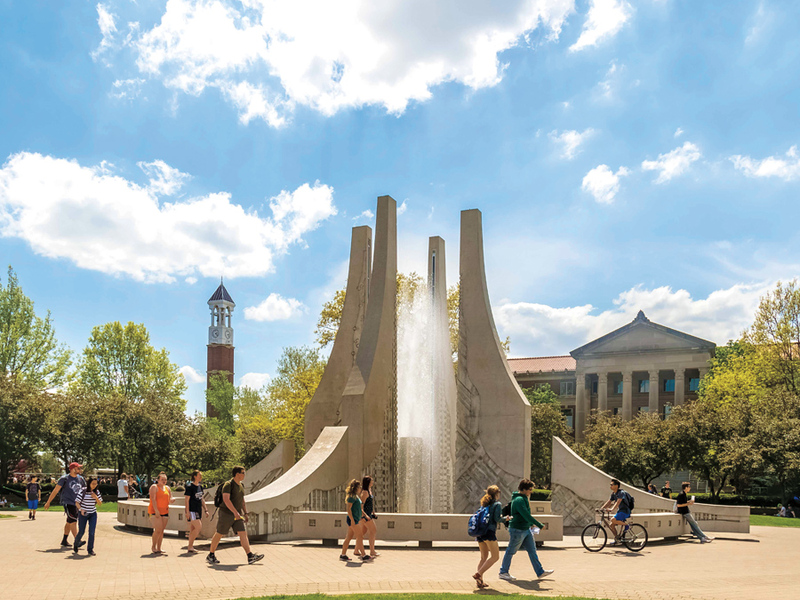 Students walking by the Purdue Engineering fountain. 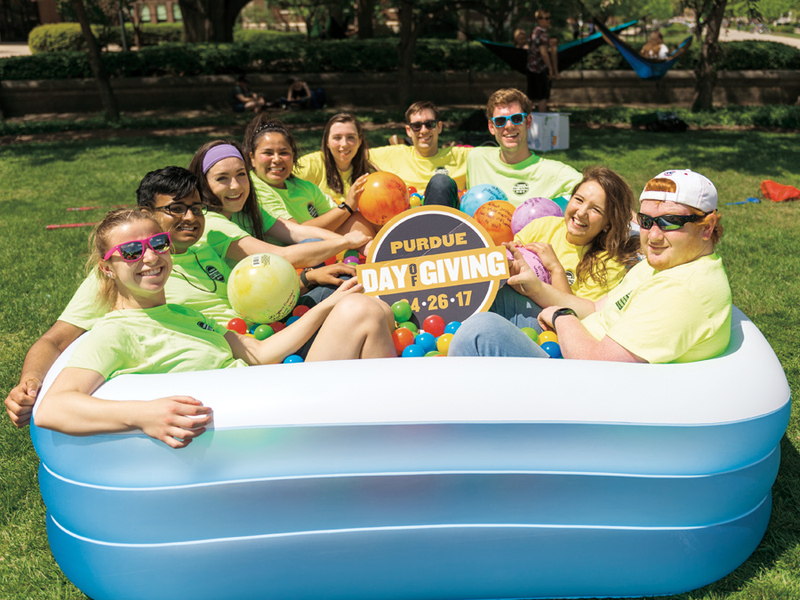 Students celebrate Purdue Day of Giving at the Purdue Engineering fountain.